Chikankari- an art . a lifestyle is the brain child of budding entrepreneur and fashion designer Pratishtha. Being from the city of Nawabs, and a professional Fashion Designer, she started using this age old art of embroidery from Lucknow in creating modern clothing lines- ethnic Indian as well as modern western wear. 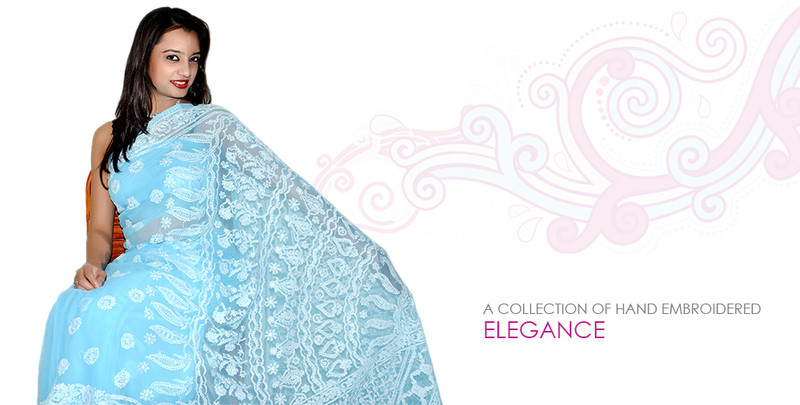 The art of Chikankari involves passion and patience of the artisans. The vision of the designer clubbed with the skills of the artisans’ results in the rich taste created to reflect the lifestyle. "chikankari an art a lifestyle is best place for lucknawi chikan lovers. "Amazing selections... great designs... simply loved it. "Thank you chikankari-an art.a lifestyle. "I wanted to give my family members some thing new but traditional. A friend of mine suggested to go for Chikankari. "Bought sarees from Chikankari-an art . a lifestyle. Must say their product reflects a class and taste. "Thank you Chikankari-an art . a lifestyle. "Keep it up Chikankari,\" an art_ alifestyle\", very gud collection. "I love chikankari clothings and this is the right and perfect place to find my choice of clothings, thnx to chikankari.